Known as “The Gathering Place,” the Hawaiian island of Oahu offers plentiful cultural activities, metropolitan excitement and natural scenic beauty. This majestic island features more to see, do and experience than a short vacation will allow. Plan accordingly. One of Hawaii’s most recognized landmarks, Diamond Head Crater can be explored by foot. In addition to the panoramic view of Oahu’s leeward coast from the rim, Diamond Head also features World War II bunkers visible during a hike up the crater. 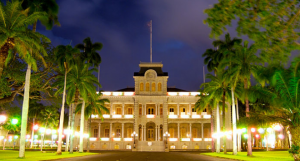 Home to the Hawaiian Kingdom’s last monarchs, Iolani Palace, in downtown Honolulu, is the only official state residence of royalty in the United States. The palace is steeped in Hawaiian history. The Hawaiian Kingdom’s last monarch, Queen Liliuokalani, was imprisoned here after the overthrow of the constitutional monarchy in 1893. This Honolulu museum’s vast collection of 24.7 million items tells the rich story of Hawaii and Polynesia. Among the artifacts are heirlooms of the Hawaiian Kingdom’s royal families. 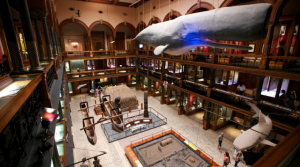 The museum also boast one of the largest natural history specimen collections in the world. Wintertime yields high surf on Oahu’s North Shore, where top professional surfers catch some of the most infamous waves in the world. Spectators gather at Sunset beach, Pipeline and Waimea Bay to watch the action unfold.